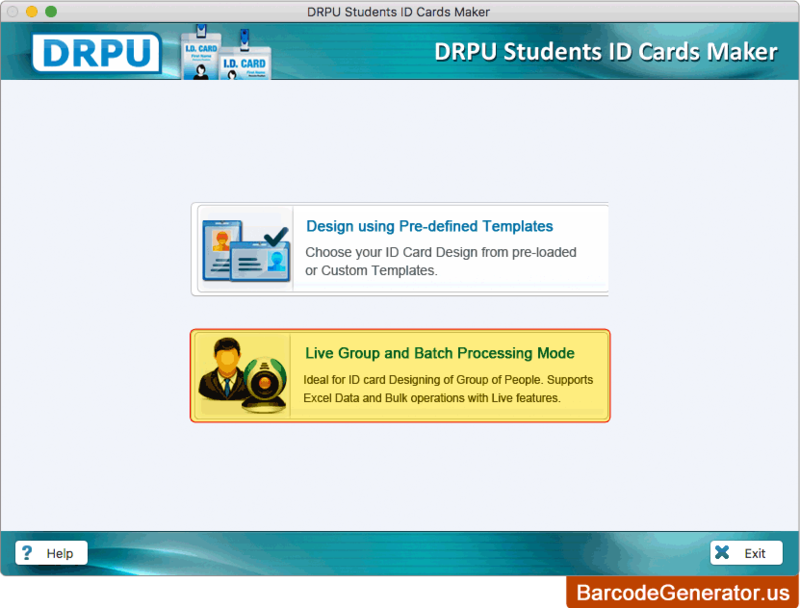 Choose any one designing mode, Here we have chosen 'Live Group and Batch Processing Mode' for demonstration purpose. 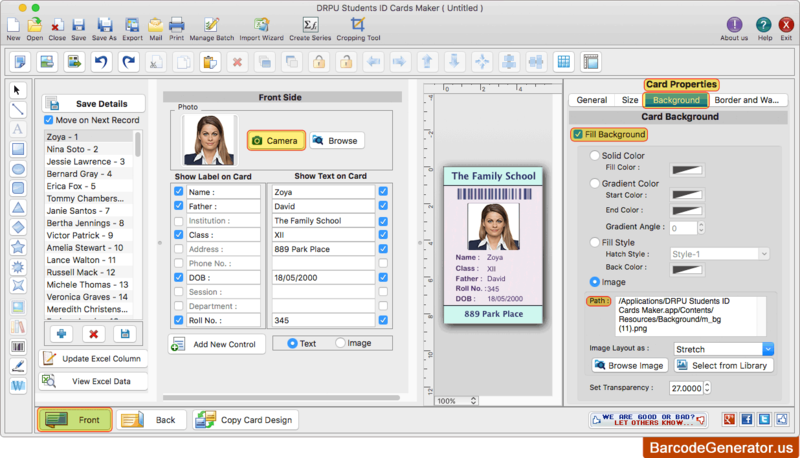 Choose any one pre-defined template and proceed to 'Next' button. 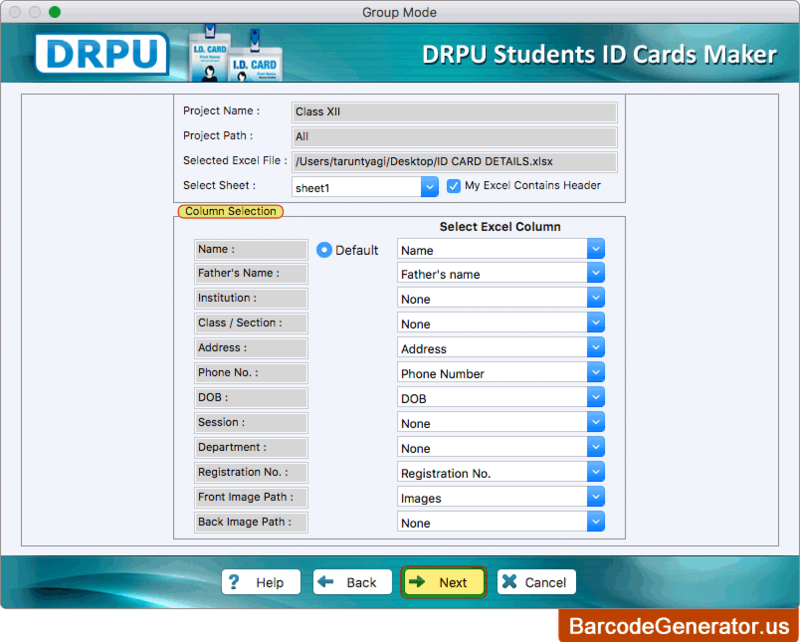 Select Excel column with their respective ID cards fields. 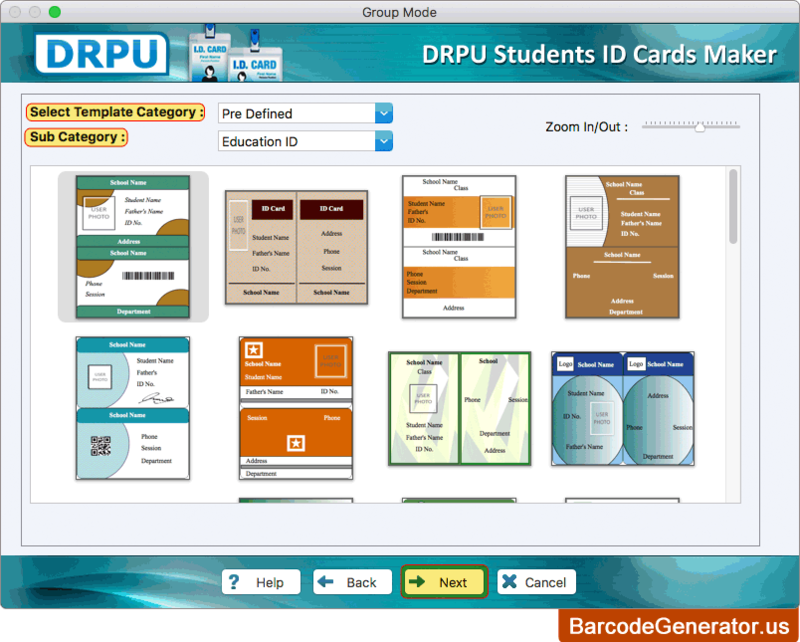 To add id cards details, go to Save Detail and select that particular entry which you want to add on your ID Card. 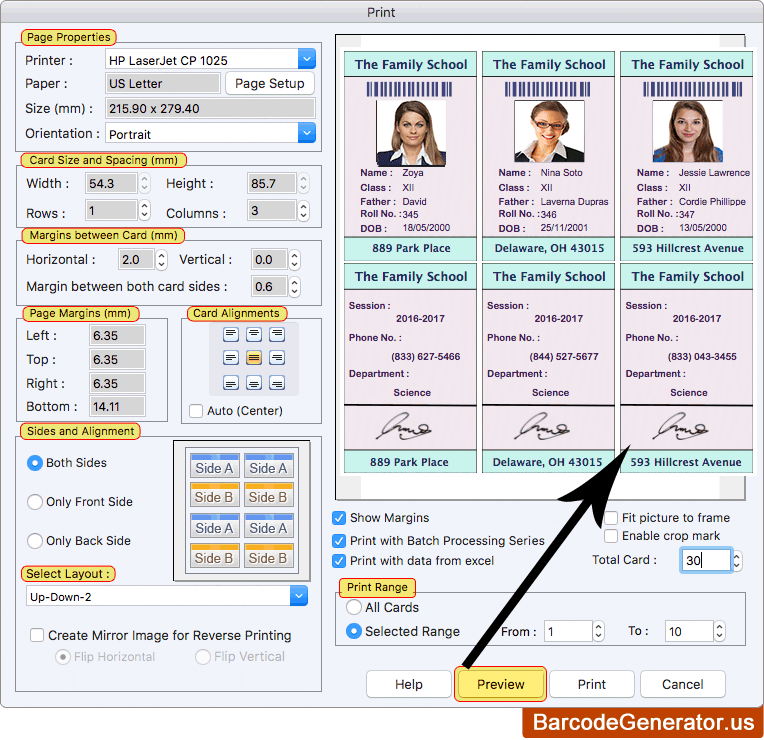 To print your ID Card, Go to print button in toolbar, set all printing settings and then click on print button.